Brian Williams out at NBC News for six months; Jon Stewart to end run at the 'Daily Show;' White House to set up cybersecurity office. 1. 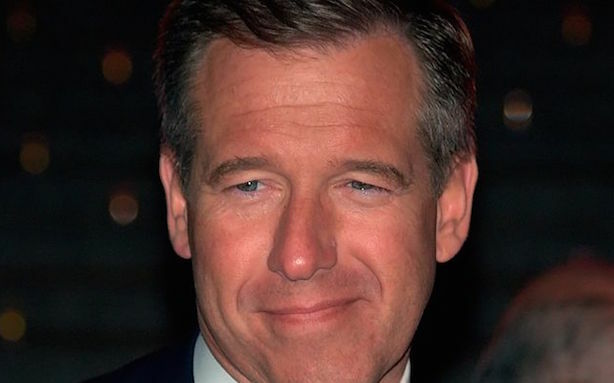 Brian Williams’ six-month suspension from the NBC Nightly News has raised a number of questions. Can he win the public’s trust back while on leave? Did NBC go too easy on him? Will ABC News be able to take advantage in the ratings? Will he come back at all? To the last question, Politico’s Dylan Byers says probably not.
.@brianstelter does Williams just pop back into the newscast in August? That's the part of this that's hard to envision. 2. More major media news: Jon Stewart emotionally told his shocked audience on Tuesday night that he will step down as the host of the Daily Show on Comedy Central, a program he made a cultural hallmark through a seamless mix of politics and pop-culture commentary. Vox floats the names of 11 comedians who could replace him. 3. President Barack Obama angered some in an interview with Vox, published earlier this week, when he said terrorists in France decided to "randomly shoot a bunch of folks in a deli in Paris" and did not emphasize the anti-Semitic nature of the attack. Critics accused spokespeople Josh Earnest and Jen Psaki of the White House and State Department, respectively, for not being more forceful in their responses. Former White House Press Secretary Dana Perino said Obama should apologize to Jewish residents of Europe. Obama, meanwhile, defended his legacy in an interview with BuzzFeed on Tuesday. 4. After a spate of cyberattacks against US commercial interests — the Twitter feeds of Newsweek and Twitter’s CFO were hacked on Tuesday — the White House is planning to set up a federal office to assess and defend against malicious hackers. The issue gained momentum after the attack on Sony Pictures Entertainment in November. 5. The chief technology officer for former Florida Governor Jeb Bush’s PAC resigned on Tuesday after "inappropriate" comments he made in the past came to light. Meanwhile, Wisconsin Governor Scott Walker is the only presumed GOP candidate with an office in Iowa, and early tensions have arisen between Hillary Clinton loyalists and aides who worked for Obama in the 2008 election, according to The New York Times.